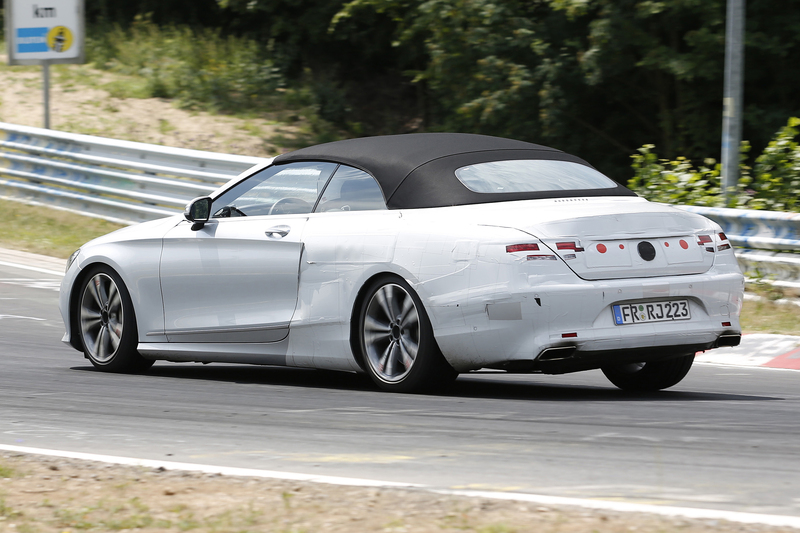 THE 2016 Mercedes S-Class Convertible has been spied testing ahead of its expected reveal at the Frankfurt motor show this September. It’s the sixth body style for the expanded W222 Mercedes S-Class range, which was introduced in sedan form in 2012, and will be Stuttgart’s answer to the Bentley Continental GTC. Since the sedan, we’ve seen the long-wheelbase versions added, as well as the Pullman and the Mercedes-Maybach S600 at the top of the Benz luxury tree. 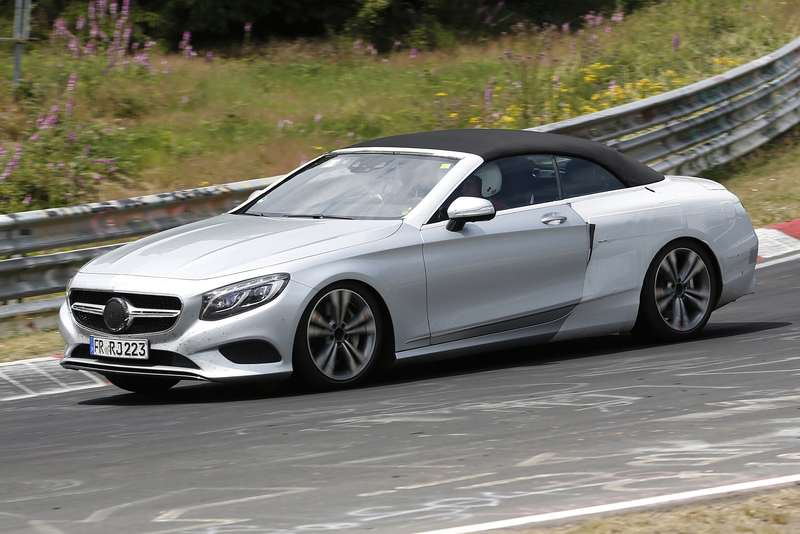 Yet, Mercedes has been teasing the media since 2012 when it confirmed that the S-Class would be offered in six body styles, and with the Coupe’s arrival here this year as the fifth, the convertible will be the final piece of the puzzle. It’s a simple formula, too: take the smooth lines of the W222 coupe, which has its own unique wheelbase and windscreen, remove the lid and you have the drop-top. 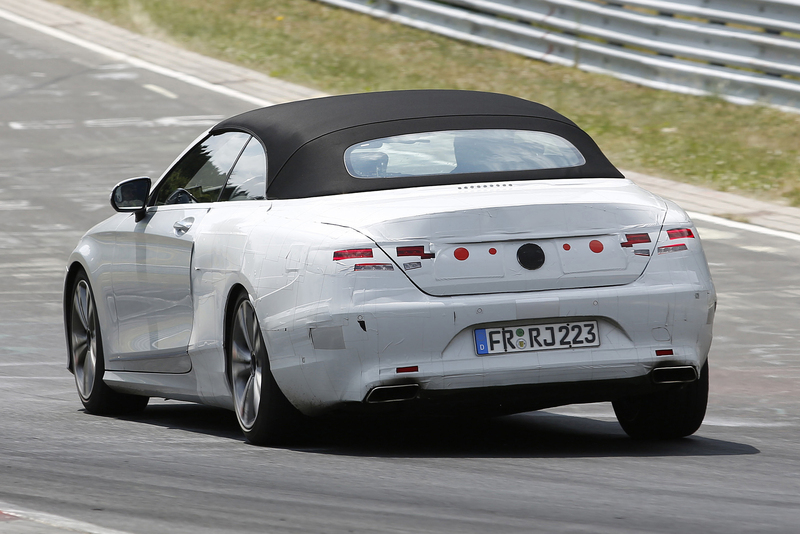 These images show that the open-air S-Class will have a cloth-top and evolve into something of a behemoth, despite the fact that these images show it being honed on the Nurburgring race track in Germany. Under that long bonnet will be a range of V8 and V12 engines, with the Aussie line-up mirroring that of the coupe. That means a 335kW/700Nm 4.7-litre twin-turbo V8 for the S500 before the Mercedes-AMG S63 with its twin-turbo 5.5-litre V8 making 530kW/900Nm. The flagship will be the V12-powered S65, with two turbos, 463kW and 1000Nm of torque. While all-wheel-drive models will be offered overseas on V8 versions, the 4MATIC system is unlikely to be offered here. 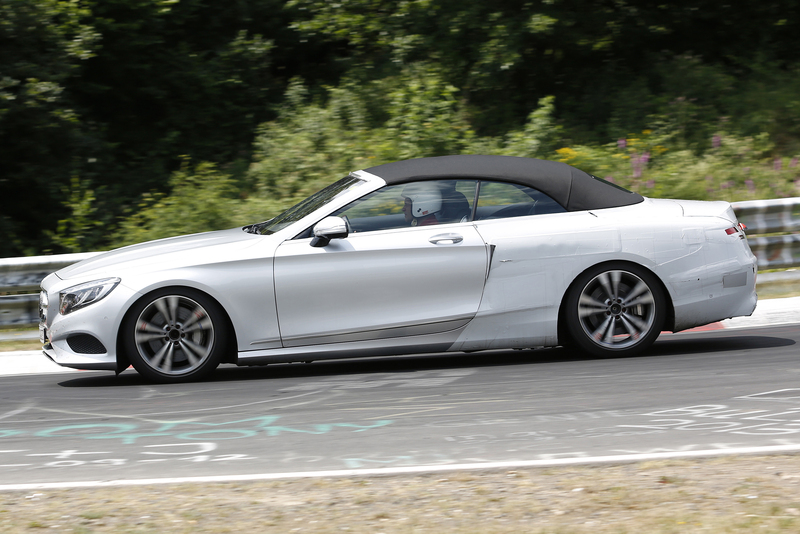 The drop-top will be loaded with Mercedes technology, though, from its speed-hump and pothole sensing cameras that read the road ahead and adjust the suspension to suit, to its suit of six radars and airbag seatbelts. Pricing will see the S65 Convertible arrive in showrooms at more than $500k, with the S500 expected to sit around $350K when it arrives here in 2016.